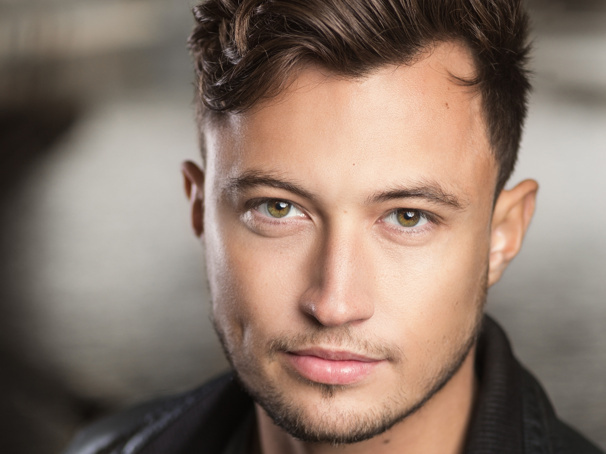 The hit West End staging of the Meat Loaf musical Bat Out of Hell has announced that current alternate Jordan Luke Gage will take over the regular track as Strat beginning on September 3 at the Dominion Theatre. Gage will replace original cast member Andrew Polec, who will play his final show on September 1, with Simon Gordon taking on duties as the new Strat alternate. "I'm overwhelmed to be taking over the iconic role of Strat in Bat Out of Hell," said Gage in a statement. "Being part of this incredible show and company has been a life-changing experience for me and I have learned so much from working with the extraordinary talent that is Andrew Polec. I want to thank everyone at Bat Out of Hell for giving me this opportunity and to thank Andrew for his support and friendship." Set against the backdrop of a post-cataclysmic city adrift from the mainland, Bat Out of Hell is described as a romantic adventure about rebellious youth and passionate love. The show features band member Jim Steinman's iconic songs from the Bat Out of Hell albums, including "You Took the Words Right Out of My Mouth," "I Would Do Anything for Love (But I Won’t Do That)," "Two Out of Three Ain’t Bad" and the title song. Bat Out of Hell is directed by Jay Scheib and features choreography by Emma Portner, musical supervision and additional arrangements by Michael Reed, set design by Jon Bausor, costume design by Jon Bausor and Meentje Nielsen, video design by Finn Ross, lighting design by Patrick Woodroffe, sound design by Gareth Owen and orchestrations by Steve Sidwell.